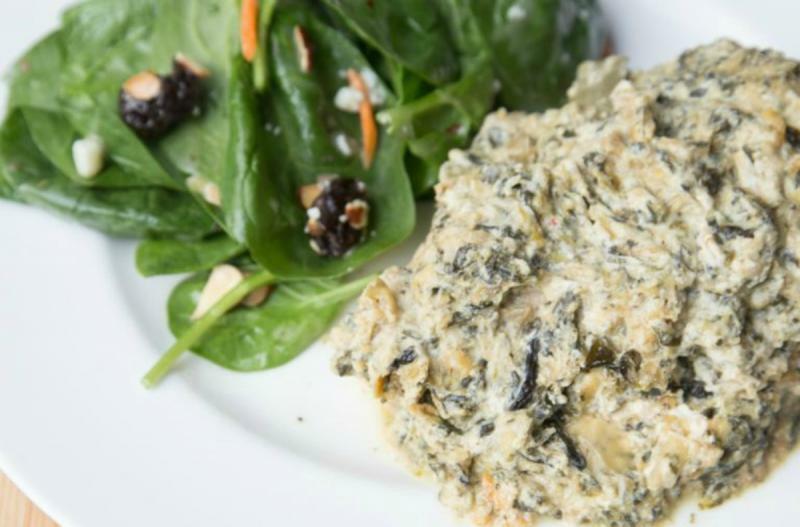 Chicken meets spinach artichoke dip. They fall in love and live happily ever after. Warm and drain the spinach. Cut the cream cheese into small cubes. Open and drain the quartered artichoke hearts. Place the chicken breasts into the base of the slow cooker and season with garlic powder, salt and pepper. In a small mixing bowl, combine the Parmesan cheese, mozzarella cheese, drained spinach, cream cheese cubes, and quartered artichokes. Spread the cheesy mixture over the chicken in the slow cooker. 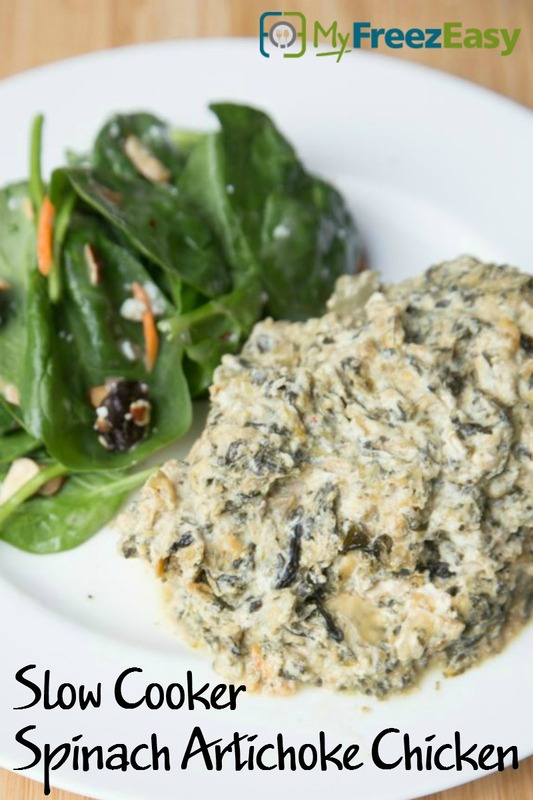 Serve Slow Cooker Spinach Artichoke Chicken with side salad. Cut 8 ounces of cream cheese into small cubes. Warm and drain 20 oz. of spinach. Open and drain 2 jars of quartered artichoke hearts. In a small mixing bowl, combine 1 cup Parmesan cheese, 2 cups mozzarella cheese, the drained spinach, the cream cheese cubes, and the quartered artichoke hearts.